Epoch was already a major player in the Japanese video game market. They started with the release on the TV Tennis in September 1975. The game was made entirely from discretely linked TTL chips. Creating a game using discrete logic was extremely complex. 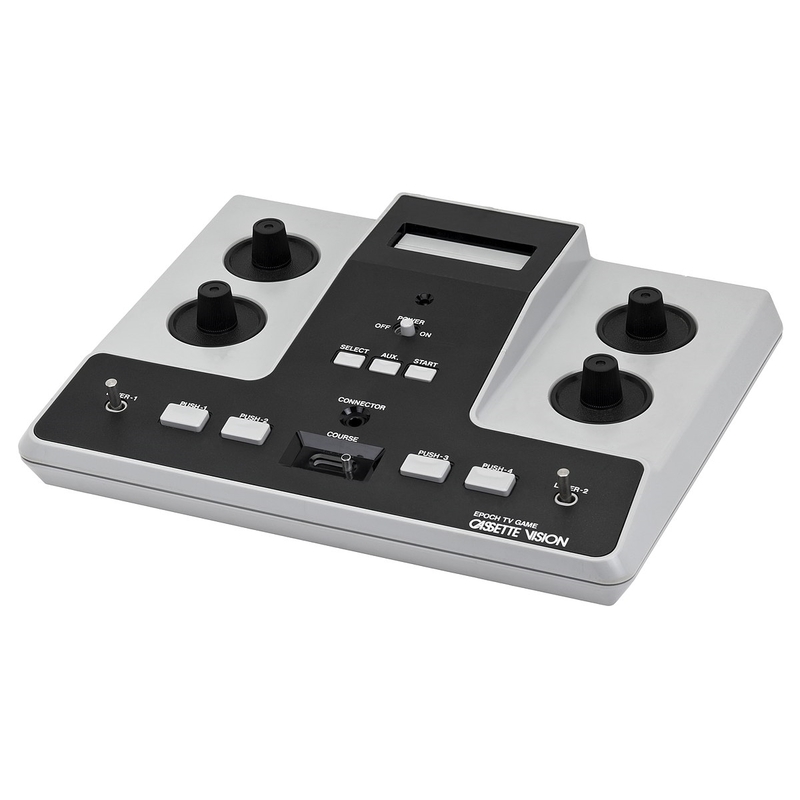 In fact, Epoch only released another console using this technology, the System 10 which was another Pong-like system with 10 built-in games. During the cycle of development of the System 10, Epoch and NEC jointly created a microprocessor (uPD77xx) that would later become the core of the Cassette Vision. The time to release games using this technology was tremendously improved, to a point that the first stand-alone console to use this technology, the TV Baseball, was released in August 1978, one month before the System 10 even though the development of the TV Baseball started almost a year after the System 10. In 1979, Epoch entered in a partnership with Atari and released 2 products to the Japanese market. First was the TV Block which was a redesign of the Atari Video Pinball C-380. The company then released in October 1979 a rebranded version of the Atari VCS (2600) under the name Epoch Cassette TV Game. At a steep price of 56,300 ¥, the console was not a success. As Space Invaders was really popular in Japan, Epoch asked Atari to create a version for the 2600 to try to boost the sell, but even with the release of Space Invaders on the VCS, the Cassette TV Game was not able to break into the market. Epoch wanted to cash in on the Space Invaders craze and released in 1980 the stand-alone console called TV Vader. The console was Epoch takes on Space-Invaders using the same hardware as the TV Baseball. With their experience on their own proprietary hardware, Epoch realized that they could create a cartridge-based system that would be far cheaper than the Cassette TV Game and take over the Japanese market. And with this idea, they created the Cassette Vision. The Cassette Vision was finally released on Jul 30, 1981, at a price of ¥13,500. Initially, only Galaxian and Baseball were available, but 2 more games were released within the next 2 months. r the Cassette Vision was a drastic improvement over the LSI systems like the System 10,but the process was still fairly complex. 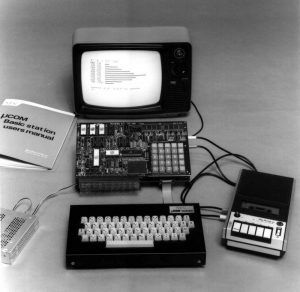 The developer had to code the game in assemblers and load it into a NEC TK-80 computer which stored the program on audio cassette. Since Epoch had only one of these beasts, they could only code one game at the time. Over the next 3 years, Epoch released 7 more games. Although released in 1981, the technology behind the Cassette Vision was dating from 1978. Epoch was aware of this shortfall and in 1982, started to work on the Cassette Vision successor, the Super Cassette Vision. While the new system was being developed, Epoch continue releasing games for the Cassette Vision. The plan was to continue supporting the Cassette Vision as long as there would be demand while slowly positioning the Super Cassette Vision as the new flagship product. On July 15, 1983, Nintendo entered the market the cassette-based video game console. The Famicom was sold at ¥14,800 just a few yen over the price of the Cassette Vision. Epoch, who was in the process of designing its own 8-bit system, knew that the Cassette Vision would not hold against the upcoming 8-bit generation. To give themselves the time to finish their upcoming Super Cassette Vision, Epoch released a trim-down version of the Cassette Vision called Cassette Vision Jr. on July 19, 1983, at a price of ¥5,000, a third of the price of the Nintendo console. The major change to the Cassette Vision Jr. was the removal of the second set of control, which basically makes it impossible to play two-player games. Fortunately, only 2 games felt into that category: Baseball & Big Sport 12. Baseball was more or less an issue as it was rereleased a year earlier with a single player mode under the name New Baseball. Big Sport 12 was not really an issue as the pong-genre games were no longer generating interest by that time. This also gave the opportunity to remove the accessory connector that was only used for the pistol accessory in the Big Sport 12. On July 17, 1984, the Super Cassette Vision was released, about 1 year after the Nintendo Famicom. Epoch tried to prolong the life of the Cassette Vision by lowering the price of the games and changing the design of the cartridge to create a clear separation between the two products. Epoch released Elevator Panic on August 1, 1980, using the new approach, but by this time, the interest for the second-generation console was already gone. Even if Epoch had Grand Champion, another game that was ready to be launched, they decided to stop completely the production of further Cassette Vision games following the reception of Elevator Panic. 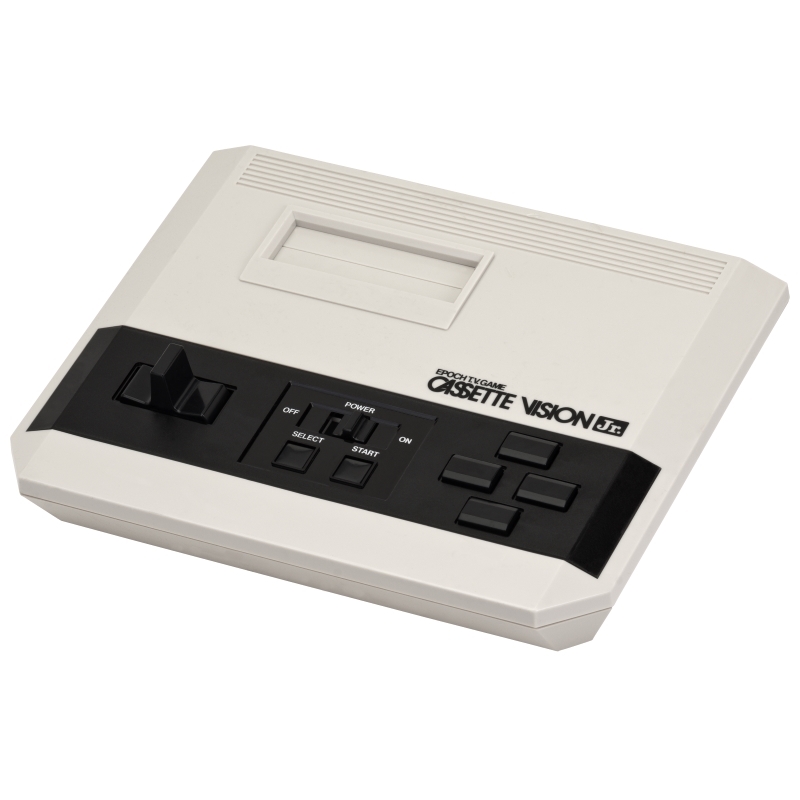 By the end of its life cycle, The Cassette Vision (including the Cassette Vision Jr.) was the sold over than 400,000 units which was huge for the Japanese market at the time. The Cassette Vision was by far the most successful console of its generation in Japan, crushing its competitor like Bandai and Tokatoku. Epoch decided to capitalize on the NEC uPD77xx chipset as they had already used to develop games on this platform (TV Baseball, TV Vader). To achieve this, Epoch decided to put the CPU directly in the cartridge while the shell of the console would only contain the power supply, the controls and the video and sound output. Having the ROM, the RAM and the CPU in one chip, Epoch/NEC were able to create a chip that would support 48 bits instruction which was way faster than systems using a separate ROM at the time. Using 8-bit ROM though a BUS would have divided the speed by 4. Although having only the ROM on the cartridge would have reduced their cost drastically, it would have greatly increased the cost of the console itself, incur more R&D cost and delay the release of the console.